The alarm began sounding just after 4:15 in the morning. The fog of sleep-hunger was so thick that it took two cycles of the alarm for me to understand what was happening. It took another little while to really grasp why I couldn’t just roll over and go back to sleep. I shuffled to the shower and began the calculations of just how much I could accomplish before 5:15 came, which was my cut off time to make it to the airport for my flight to Chicago. The minutes whizzed by as I packed, dashed off notes to the girls and Sean, set the oven to bake a meatloaf as they slept. After pressing I-hope-you-remember-this kisses onto each of their foreheads, I raced downstairs, and was backing down the driveway at 5:14. I should have felt light, but a familiar tightening was moving up my neck. I could feel the tiniest pin pricks in my nose and throat as a cry lapped at my heart. Memories overlapped as I remembered saying goodbye to my grandparents at the airport, hiding my tears as I looked out the window at the beginning and end of visits with my dad, first days of school, and sleep-overs that were never as fun as I’d hoped. I shook my head. I’ve come to know that if I want to, I can turn away from my tendency toward tears. Avoid the country station, don’t linger on the tenuous balance between heartbreak and soaring joy, deliberately choose to rejoice. I set my mind to it, cataloging the things I’d done to make this trip possible and the people who love and support me who’d done the same. The lump came back. “I say go for it,” Paula said as I asked about making the trip. “Go, babe, we’ll be fine,” Sean assured me as I fretted over whether it was worth it. I thought back to the other years of going on this trip, the homecomings. Sweet reunions and realizations that time away is good, necessary even, for all of us. Smiling, I let the tears come. My sleeping girls and their inimitable quirks of enunciation and phrasing filled my ears. The sounds they each make as they turn toward or away from me as they sleep. The golden halo that settles over our house when the sun slips behind the mountains. 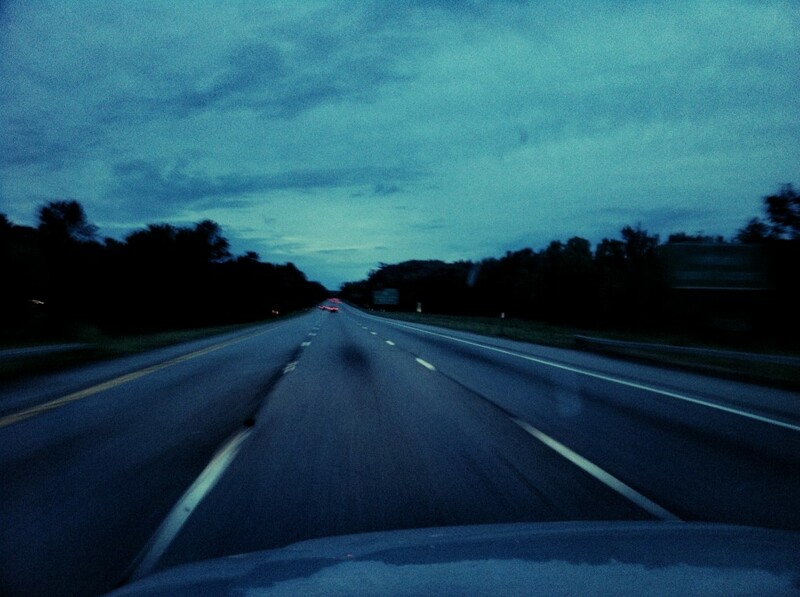 The way driving on highways blurs time and I am at once child and adult. Some days I choose not to fight my tears, because it is in my vast tendency toward weeping and feeling life so sharply that it stings, that I am able to to also feel soul-rumbling joy that I am tucked in this beautiful life of mine. As Tuesday’s dawn explodes and as yet another lump catches in my throat, I’m wishing you tears too. I love you. I love this. AND I GOT TO MEET YOU. NExt time, please, can we set time away to sit and have lunch. It would feed my soul for a year. What a JOY to meet you. Yes, more time next time, but until then, will cherish our tether online! I am so thankful that I got to spend some time with you. It was a bright spot of my weekend. You were a bright spot. Love to you! I think of Lindsey as I read this then saw she was the one to comment above. So funny how that works. Wish I could have been at BlogHer to meet you and many others. I want to hear more details about it!